Hi mums and dads! 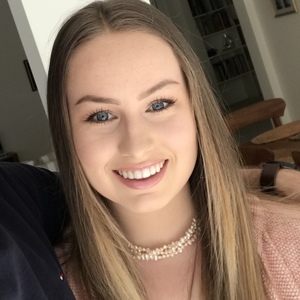 I am a university student studying primary teaching a few days a week at ACU in Melbourne. For as long as I can remember I have loved kids and I am really comfortable working with little ones- hence my career choice! I love to cook, listen to Elvis Presley and travel as much as I can :) I have a very nurturing personality and I am sure I will instantly connect with your kids. I have a certificate 3 in early childhood education and care and spent a couple of years working in a child care centre/kindergarten so I am confident working with children as young as five months old. I have also had experience in school holiday programs for primary aged children and have undergone two rounds of placement at my local primary schools. I have also done a small amount of baby sitting with a ten month old and two year old. "Annabelle was confident, enthusiastic and used initiative from the moment she walked in the door. The children were comfortable in her company which helped us feel at ease to leave her in charge for night. A very pleasant and mature young lady. We look forward to seeing her again."